NEW YORK (WABC) -- Demonstrations supporting Apple are taking place around the world Tuesday, including some in the Tri-State area. Apple is refusing to unlock the iPhone of one of the San Bernardino shooters for the FBI. Pro-Apple protests were planned for the Walt Whitman Shops on Long Island, the Short Hills Mall in New Jersey, and at Apple's 5th Avenue flagship store in Manhattan. Apple is also challenging government efforts to overcome encryption on at least 14 electronic devices nationwide in addition to the phone of a San Bernardino, California, shooter, its lawyers say. Lawyers told U.S. Magistrate Judge James Orenstein in Brooklyn that Apple is opposing relinquishing information on at least 15 devices in a dozen court cases in California, Illinois, Massachusetts and New York. 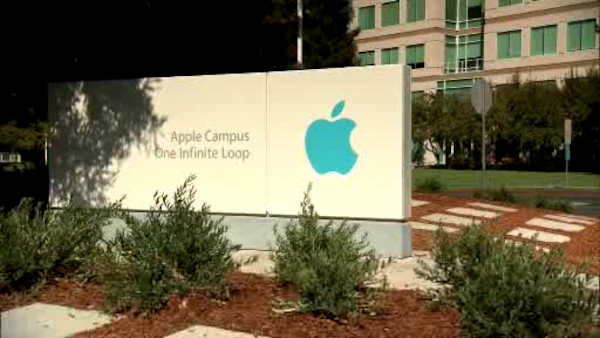 In a Feb. 17 letter unsealed Tuesday, the Cupertino, California-based company described fighting the government in criminal cases after first opposing the government in a request to extract information from the phone of a drug dealer in Brooklyn federal court in October. Before that, the government says, Apple had helped it retrieve information from at least 70 devices since 2008. Apple's opposition began after Orenstein invited the company to challenge the government's use of a 1789 law, the All Writs Act, which the government cited in the Brooklyn case. Apple said the government was trying to use the law more aggressively in its effort to look inside the iPhone of a shooter in the Dec. 2 massacre in San Bernardino that killed 14 people.